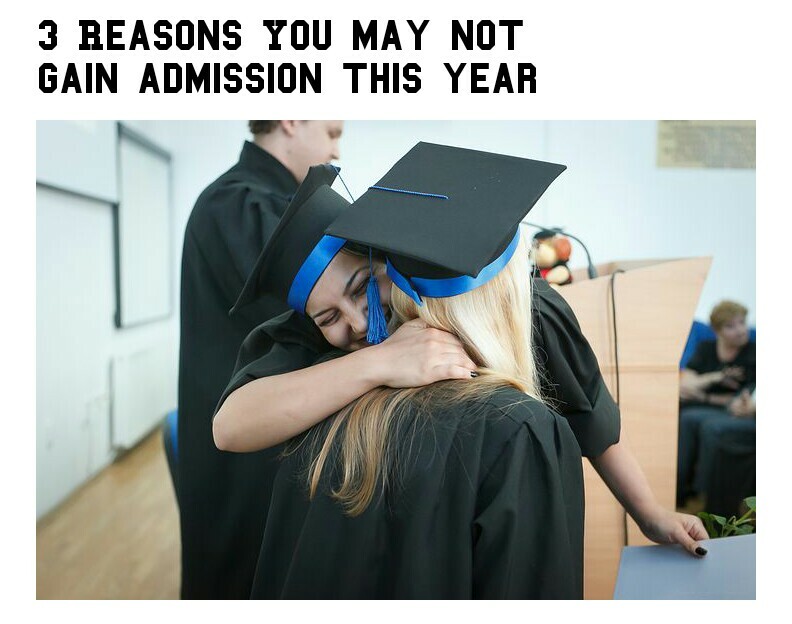 3 REASONS WHY YOU MAY NOT GAIN ADMISION THIS YEAR. It is becoming even more difficult to gain admission I to any of the Nigerian public Universities, either federal or state owned. This is definitely due to the high population of Nigerian admission seekers in relation to the small number of higher institutions. Year after year, thousands graduate from secondary schools to join the thousands already waiting to gain admission. 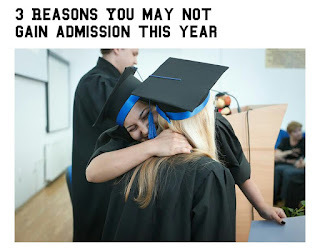 There is obvious competition to get admission, especially into some seemingly lucrative professional courses like Medicine and surgery, Pharmacy, Engineering, Law etc. It is likely that my reader is currently seeking admission into school or knows someone who is, or has spent years writing jamb and University post UTME exams with no success. Only a few percentage of these gain admission each year. And some to their desired courses despite the competition. ¹) YOU ARE NOT YET GOOD ENOUGH AT O LEVEL. I know you probably were a very bright student in your secondary school. The best student perhaps in your entire school. No one cares over here. You are coming into the real world Where people are by far better than you. People attended far better schools, had better teachers, Exerted themselves more and had comparatively better "O level" preparations than you. You still have this Mindset that you haven't failed any exam and that Jamb will just be one of those exams you will squash. Whether you are good or bad in secondary school is irrelevant here. If you are not good enough to pass post UTME, you will fail it. When you came out of secondary school, you could still not have known enough of the things you are required to know So you will do well in competitive exams like Jamb a d post UTME. The truth is that with time and enough efforts, reading and attending lessons, yous will get better and even surprise yourself. However, just passing time at home waiting to write Jamb and reading once a week won't make you better. You could be worse than when you left school at the end of the day. You have to discipline yourself, get better at those subjects by the day. Trash those topics that gave you a hard time in the previous exams. Decide that no question will leave you complete stupid anymore. After all, you are supposed to know these things at this level in other to progress to the next level. Do everything in your power to know all and improve. 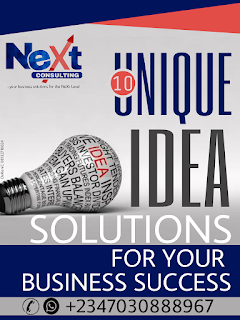 Attend tutorial classes, Jamb and post UTME lessons in the particular University of your choice. Get their past questions, form study groups and challenge yourselves with questions. Do pre degree programs if you can afford it. All these will greatly increase your chances. ²) YOU ARE IGNORANT OF HOW THINGS ROLL. yes you are downright ignorant of how things work here. You are Naive. You have done the same thing same way or seen who it didn't work for, yet you are doing it again this year. You need to get informed about how institutions operate. Some of you have been at home for years writing Jamb and you are still at home this year watching film or doing business. Why not relocate to the school environment? Several candidates more informed you are already there for the same reason, doing pre degree and attending tutorials and lessons, getting ready for this same exams you are preparing from home. We all know home reading doesn't go too well with the many distractions. These ones will gain admission while you if care is not taken will be writing Jamb again next year. ³) YOU WANT SOMETHING FOR NOTHING. Not only are you lazy, you also want to jump the gun. You have been sold this lie that people don't gain admission except they pay huge sum of money. That no matter how well you do in the exams rich people will buy your results for their kids. Look, in few occasions and some institutions this happens. But this is corruption and it is largely not the case in majority of Nigerian universities. Even I the most corrupt schools they still value merit very much because every school wants the best students to come to their school. If you studied and emerged top 5% in that exams the possibility of you not gaining admission will be almost no existent. Most of the time, people how make these assertions are lazy and average students who have not taken time to develop themselves and be good enough to pass these exams comfortably without cheating. Listen people who gain admission through this route are too little compared to the thousands that have cost millions of Naira and valuable years by depending on schemes that do not hold water. Hardwork remains the best way nobody regretted working hard. U will save yourself and your future alot of stress and unwanted consequences of cruckedness.